It is November 1941, nine months after a German invasion led to the British surrender. 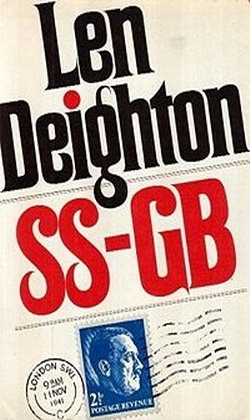 Detective Superintendent Douglas Archer, a British homicide detective assigned to Scotland Yard, is called in to investigate a murder of a well-dressed man in an apartment in Shepherd Market. Though the body has two gunshot wounds, Archer is puzzled by the condition of the body, in particular what appears to be a sunburn on the body's arm. To his surprise, the case draws the attention of the highest levels of the German government, as an SS Standartenfűhrer, Oskar Huth, arrives to supervise the investigation. Archer soon finds himself in the middle of a power struggle between Huth and Gruppenfűhrer Fritz Kellerman, Archer's boss and the head of police forces in Great Britain.